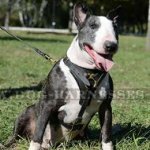 What Do You Know About Dog Fast Track? 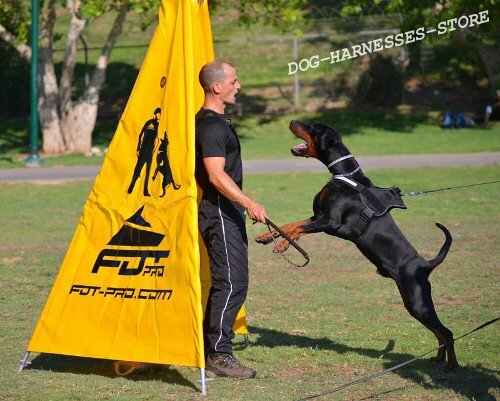 Fast track is similar to agility: a dog needs also to overcome an obstacle course (kinds of obstacles are mentioned in the rules), but the dog should grab helper's protected arm and hold it at the end of a track. 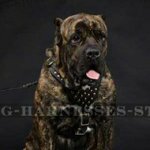 Fast track is aimed at dog fanciers, who have no solid experience of working with medium and large canines. 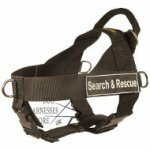 The main task of fast track is to give required physical load to the dog and to introduce sport to the handler. 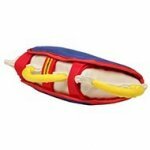 Moreover, dog fast track competitions promote service dogs breeding and attract interest to advanced dog training. Obedience (commands "Come", "Heel", "Sit", "Down", "Stay" etc.). Simple obstacle course overcoming (commands "Go Ahead", "Barrier"). 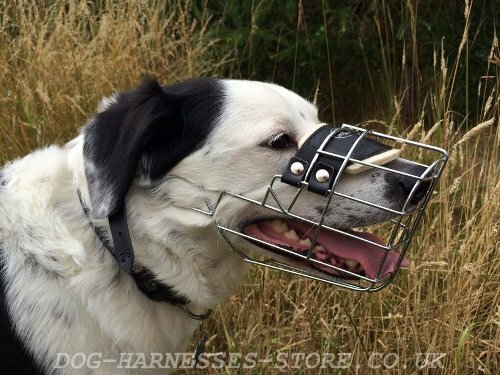 The dog should be got used to a muzzle. The dog shouldn't be afraid of shots. The dog shouldn't pick up kibble (treats) from the ground. The dog should be always ready to change the direction of moving. Attack and holding of a helper. 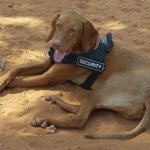 The dog should back off and come to the handler at a command after attack. The trainer (handler) and the dog come to the start. 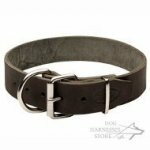 The dog should be on the leash and with the muzzle. "Stay" command checking. 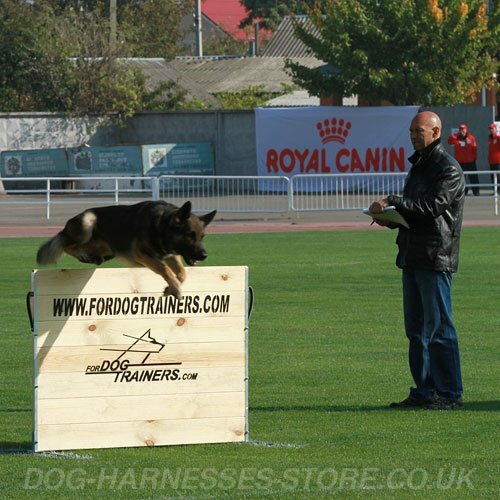 The trainer gives one of the commands ("Heel", "Sit" or "Down") and moves to the next zone, going out for 10-25 m of the dog depending of the competition category. 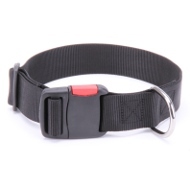 The trainer is allowed to give any additional commands to make it stay. 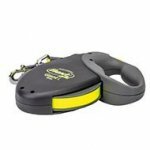 The trainer can make the dog sit with the voice or with the leash (fast track 0). Touching the dog is forbidden. The trainer runs round the control zone, comes back to the dog and moves with it along the obstacle course in the opposite direction to the start (fast track 0), then makes the dog sit. The dog waits the trainer's coming, which moves to the attack zone (fast track 1, 2). The trainer gives the dog a fixing command ("Sit" – in fast track 0, 1; "Down" – in fast track 2) after the manager's command "Set". The trainer takes the muzzle off the dog after it ran one of the commands. 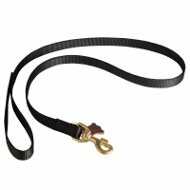 The leash is unfastened at will in fast track 0, 1 and obligingly in fast track 2. The dog should stay before and after the shot. Besides, the dog shouldn't pay attention to treats, but perform the command to stay. 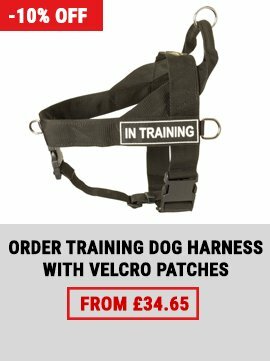 The trainer starts moving to the obstacle course and gives the dog commands to its overcoming after he has got the command to start (not earlier!). Sequence of obstacles overcoming is any. 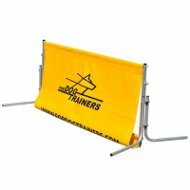 The trainer is allowed to give any commands before the obstacle ("Barrier", "Go Ahead" – vertical or horizontal jump), in any quantity (i.e. any additional commands). The dog overcomes the obstacles in one direction and in a certain sequence. The time of obstacle course overcoming is fixed by the judges. Then the trainer goes to the attack zone. The helper appears from the blind and tries to attract the dog's attention with voice and gestures in fast track 1. He does this at any moment when the trainer crossed the attack zone borders. The dog runs into the attack zone only after the trainer’s command (f.e. "Come"). Then the trainer gives the command to hold the helper (f.e. "Attack"). The dog performs the attack. 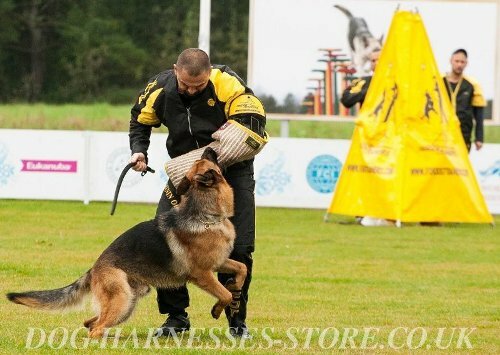 The handler runs to the control zone with the dog handing on his arm or without the dog. The trainer runs after them and encourages the dog with voice. The handler stops to resist and freezes, standing at the centre of control zone. 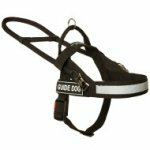 The trainer gives the command to the dog to back off and makes it sit with voice or with the help of the leash. It is forbidden for the trainer to stop the holding of the handler in any other way (f.e. by stepping on the dog's paw). 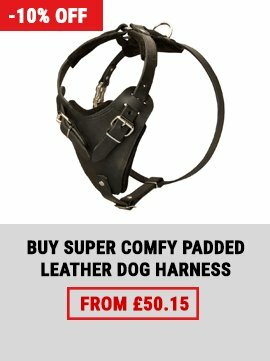 The handler shouldn't touch the dog as well as the helper. In fast track 2 the first helper goes to a frontal attack from the blind to the border of the holding zone (2 m). Then the second helper appears from the blind and also provokes the dog to attack. 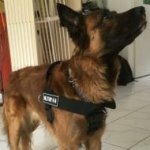 The trainer stops the dog's attack on the first helper, calls it and set the dog to attack the second helper using any commands. The second helper tries also to run to the control zone and stops to resist at its centre. The trainer rushes to them and gives the command to back off when the judge whistles. The judge stops a timer and times attack and holding of the first helper when the control zone is crossed. The judge also whistles when the control zone is passed and times attack and holding of the second helper, who should come to the control zone centre, stop and freeze in time. The trainer has to back off the dog as soon as possible. The judge stops the timer (which has been already fixing penalty time) when the dog is sat down in the control zone borders. There are individual and team competitions. If the contests are run according to all 3 categories, every trainer can take part only in one of them. F.e., if the trainer and the dog won in fast track 0, the next time they take part in fast track 1 and then – 2. All the participants should follow the judge's instructions clearly. 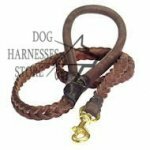 It is forbidden to treat, to touch the dog and to hold anything else apart from the muzzle and the leash, to touch equipment on the track. The dog is examined for waiting, a shot, one helper keeping, back off and holding the helper's arm protected with the sleeve (if available). All these actions are performed over the distance of 25 m on the track. The distance to the holding zone is no less than 5 m.
False start through the trainer's fault. Overcomes obstacles instead of the dog. Gives command or gesticulates out of the zone allowed. Leaves the holding zone before the helper stops and freezes in fast track 2. Touches the helper deliberately to imitate fighting and to excite the dog. Rushes without the trainer's command. Dislodges the bar of the jump. Doesn't overcome obstacle from the first try (2 retries are allowed). Overcomes obstacle in opposite direction. Jumps off one part of the dog walk and jumps on the other one. Changes position in the holding zone. In fast track 0 – for beginners – tries to leave the holding zone (no more than 3 paws are allowed). Misses the sleeve during attack. Holds the sleeve less than 5 sec. 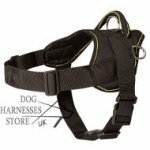 Being without proper equipment before and at the start (collar, leash, muzzle). Violation of the judge's instructions. Improper behavior of the trainer. 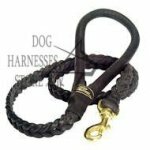 The trainer holds in hands the other things, except for allowed (leash, muzzle). 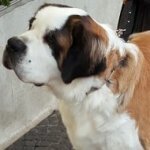 Physical influence on the dog. Harsh treatment of the dog. The dog leaves the track. 5 penalty points are scored for every mistake. 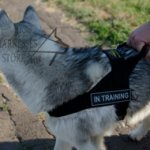 In general, fast track dog training is easier than agility and service dogs education because the rules of dog control are minimal, they doesn't require special canine training according to any other course. 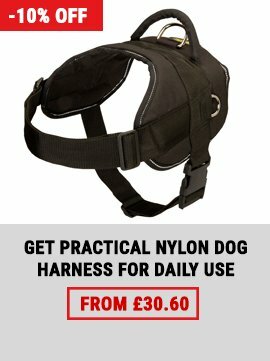 This means, you can start fast track training with your dog at the bottom. Read also about dog agility. 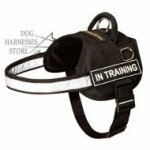 Professional gear for fast track dog training, click on the pictures!